WOW, THIS HARD TO FIND 4 BEDROOM, 2 FULL BATHROOM RANCH HOME IS LOCATED IN THE HEART OF BROWNSBURG & HAS BEEN TOTALLY UPDATED INSIDE & OUT! UPDATES INCLUDES AN ALL NEW KITCHEN FEATURING WHITE SHAKER-STYLE CABINETRY, NEW COUNTER TOPS & ALL NEW STAINLESS STEEL APPLIANCES, UPDATED BATHROOMS INCLUDING NEW CERAMIC TILE FLOORING & TILE TUB SURROUND IN HALL BATHROOM, A NEW DIMENSIONAL SHINGLE ROOF ON BOTH THE HOUSE & THE GARAGE, ALL NW FLOORING THROUGHOUT, UPDATED SCREENED-IN SUN DECK, FRESH PAINT INSIDE & OUT, ALL NEW LIGHT FIXTURES, ETC. 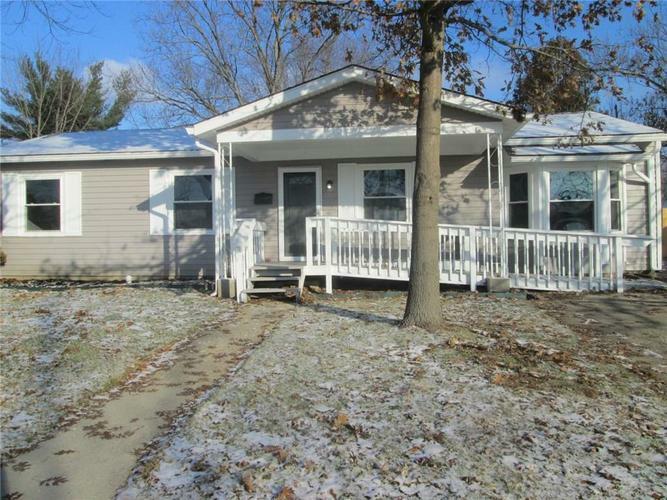 HOME FEATURES LIVING RM & BREAKFAST ROOM BOTH WITH WOOD LAMINATE FLOORING, A SPLIT BEDROOM FLOOR PLAN, MASTER BEDROOM W/ BAY WINDOW & FULL BATHROOM & A GREAT BROWNSBURG LOCATION CONVENIENT TO EVERYTHING! Directions:FROM SR136 & S. GREEN ST, GO SOUTH ON GREEN ST, TURN LEFT ON PRAIRIE PARKWAY TO HOME ON THE LEFT: 116 PRAIRIE PARKWAY.